Growing at a CAGR of 7.7%, Home Healthcare is the new and most significant wellness trend falls under healthcare sector, in which, hospital would be shifted at home in order to gain cost effectiveness and to reduce bed occupancy. Home healthcare is a relatively new concept in Indian Wellness Industry, in comparison with the way ahead innovative markets like USA where it’s a $100 billion market and in Japan where it’s a $25 billion market. Now, as quoted in accounting and consulting firm PricewaterhouseCoopers’ (PwC) healthcare statistics, Home healthcare in India is worth $2 billion and is growing at 20 per cent annually. This shows a gigantic scope and potential for growth in India. The market is open for more potent players, who may build them up to scale and give that sheen of professionalism to Indian consumers who have now come to expect from exclusivity and high standard services from its providers. So far, start-ups like Medwell Ventures’ Nightingale Home Health Service, Portea Medical, HealthCare at Home, India Home Health Care, Health Care at Home India and Homital Medcare Pvt Ltd are the prominent players recognised in this market. Conceptualised by Dr Ferzaan Engineer, Joint Chairman of Medwell Ventures and Ex-CEO of Fortis Healthcare, Vishal Bali, who is the present Chairman and Co-Founder of the venture, Nightingale Home Health Service has been acquired from its founder Dr Radha Murthy in 2018. At the moment, more than 5000 families in Bangaluru have subscribed its annual home care plans. Bali, who strongly support the fact that an ageing population, shortage of hospital beds and the need for continuity of care prior and post-hospitalisation has created a strong demand for professionally driven speciality home healthcare services in the country. “A countrywide survey has revealed that more than 40 million Indians lose their lives to chronic diseases each year and a fourth are below 60 years. Demographical and lifestyle changes coupled with altering disease profiles drive the Indian healthcare market. Nuclear families and working spouses have altered family equations, leaving little time and energy for personalised healthcare. An ageing population, shortage of hospital beds and the need for continuity of care pre/post-hospitalisation create a strong demand for professionally driven speciality home healthcare services. The future of patient-centric care will incorporate speciality home healthcare as a key element,” said Bali. Similarly, Portea Medical is India’s home healthcare pioneer and the largest and fastest growing provider of in-home medical care in India with a 24-city network. Led by serial entrepreneur couple K Ganesh and Meena Ganesh, the Bangaluru-based company has been giving a healthy dose of competition to Medwell’s Nightingale and others. Reciting the story of its inception, Meena Ganesh, Co-Founder & CEO, Portia Medical said, “Our involvement with Portea Medical resulted from a deeply personal experience. A close family member was diagnosed with cancer and we saw first-hand, the difficulties in taking care of a terminally-ill person. This experience made us realised the number of challenges involved and the dearth of options for quality medical care at home in India. This was also the time when we had just exited our previous venture TutorVista, and were exploring different opportunities. We found that the lack of affordable and quality home healthcare in India was a big pain-point and provided a large ‘whitespace’ opportunity that we felt we could address. Raising the bar of the competition in the country is the India Home Health Care (IHHC) which offers services to geriatric patients, orthopaedics, cancer patients and patients with neurological disorders along with post surgical care, new born care and care for terminal illnesses. “We started in 2009 and were one of the first institutionalized providers in the country. The idea took shape after one of our founders V Thiagarajan was faced with a need for home care for one of his NRI friend’s mom. They did find a lot of options but none were of quality that they could rely on. They realized that the patient actually faced risks associated with safety, both clinically and non-clinically. When this was an established multi-billion dollar industry in the West, we could not find the reason why India did not have organized providers that could assure patients of quality and reliability. This experience sowed the seed for India Home Health Care,” informed Anitha Arockiasamy, President, IHHC. Another prominent player in the category is the Delhi-based Health Care at Home India (HCHI), a dedicated unit providing home healthcare facility. “There is a huge gap in the clinical quality services, right from what is available inside the hospital to what is available outside. Outside of the hospital has an organised sector where you do not know who will come to your house, you do not know whether that person is qualified to do that job, trained enough, is there any accountability for the treatments being offered at home and so on. To lend accountability, professionalism and clinical quality, we thought of ‘at-homecare’ service to provide much organised and professional services, benchmarking clinical quality and using technology to bridge the gap,” added Dr Gaurav Thukral, Vice President, HCHI India. While, Health Care at Home, India and Homital Medcare Pvt Ltd were unavailable to comment. The Home Healthcare market till now has witnessed the entry of a lot of big players, who are existing in the market and are often innovating their services. But, with the entrepreneurial culture picking up in India, the very segment has also seen handful of start-ups penetrating in. Being a prominent investor herself, Ganesh suggested that home healthcare is a market with high scope of growth for the entrepreneurs in the tertiary care. “The Start-up or Venture Capital ecosystem in India has definitely evolved over the past couple of years and I expect the rate of change only to accelerate. As far as healthcare in India is concerned, to date, the vast majority of entrepreneurial activity in the space has been focused on building tertiary care hospitals. This type of entrepreneurship is poorly suited for venture capital activity because it is asset heavy, linear, execution focused and involves long lead times," said Ganesh. She further explained, "Entrepreneurs that have been successful in the tertiary care setting, have predominately been business groups, star doctors or groups of doctors who have used more traditional financing means like family and friends or bank financing during the early stages of the business. This segment of the healthcare industry is largely ‘mature’ from a funding perspective." “India’s challenges of affordability and accessibility in healthcare require innovative thinking and establishing new models of healthcare delivery. We will be chronic diseases capital of the globe and have to work on multiple fronts to create a healthier India. Home healthcare is a key pillar of the healthcare delivery ecosystem in many countries of the world and is recognised for its patient centric role. We believe that Home Healthcare presents an enormous opportunity in the country,” said Bali of Medwell Ventures, a company that incubates start-up in the field of medicine. Voicing the same, Arockiasamy shared, "Finding good and reliable manpower to willingly work by the patient’s bedside at their home is a key challenge. Also, creating awareness in the market that home health is not another domestic housekeeping agency and sensitizing the market about the cost of this level of service are some of the other challenges. As of date, since home health is a private pay, only the higher end of the socio-economic spectrum is able to afford our services. Extending insurance coverage to home healthcare will make it more affordable by everyone. 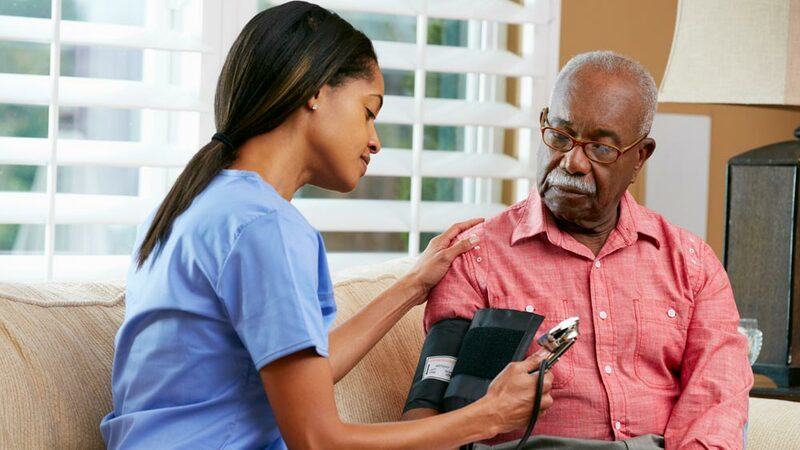 As the wellness industry is jam-packed with new and innovative service providers, Home Healthcare is expected to grow exponentially under its umbrella. With the economic progress and changing lifestyle in the country, at-home care is the need of the hour. A new change in the overall market is foreseen, which is shifting from unorganised sector to the organised. This shift has opened new doors of opportunities,not only for the consumers, but is knocking at the doorsteps of the start-ups as well. About Us: Established in 1999, with a love for woodworking, Woodniture..
Chisel- An initiative by Virat KohliWith celebrity-backed ventures becoming the.. Valuing the Competition is Very Important.. The Medical Tourism Market in India..
4 Steps to Open A Spa Franchise..
Penetrating the Global Market with Innovation..
Niraamaya Retreats: surrounded with serenity..
​The Rise of Big Fat Wedding Industry in India..
Why After-School Programs are Getting Popular..
Bundling Menu Items is the New Fad.. Things to Know About the Franchise Tenure.. The seven best EduTech startups of India..